If you're a fan of legendary comedy troupe Monty Python, you've likely seen all their movies and all of the episodes of their TV show, Monty Python's Flying Circus. If you're a fan of legendary comedy troupe Monty Python, you've likely seen all their movies and all of the episodes of their TV show, Monty Python's Flying Circus. And if you own a boxed set of Circus, you've probably seen at least one documentary chronicling the group's origins and rise to glory. But if you're truly a fan, you can never know too much. The latest incarnation of the Pythons' life story -- subtitled "The Lawyer's Cut" -- is the end-all-be-all of Python, and has a running time of six hours. Realizing that even Pythonites have limits, IFC is breaking the film up into six episodes that they'll air over the course of the week, beginning tonight and running through the 23rd. 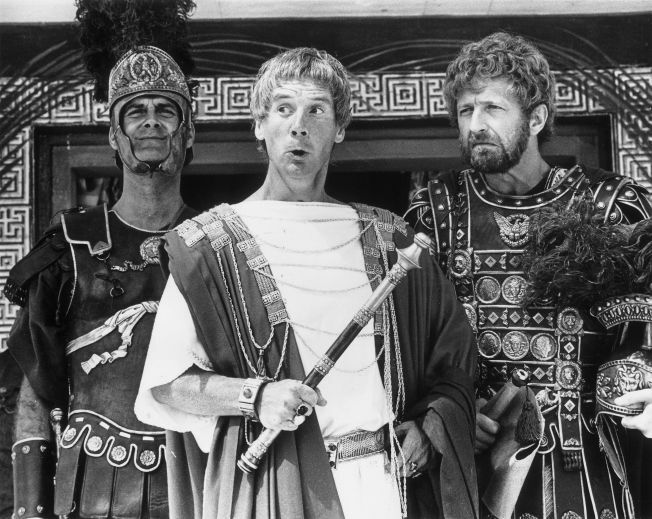 With new interviews with the Pythons, their associates, and the modern comedians who love them, this massive work also features pre-Python footage of the members, archival interviews with the late Graham Chapman and some fairly frank commentary about the group's internal conflicts. Even if you're not a fan, it's a breathtakingly exhaustive analysis of what is arguably the most adored comedy team in the Western Hemisphere. And while it's no Holy Grail, it's still pretty damn funny, thanks to great clips and the still-active humor glands of the interviewees. Plus, after every episode, you can catch a Monty Python movie (tonight's is Live at the Hollywood Bowl) and an episode of Flying Circus! And if you sit between two megafans, you can hear it all in surround sound, because they probably know every word by heart. Monty Python: Almost the Truth (The Lawyer's Cut) airs tonight and every night this week at 9/8C on IFC, followed by a Python movie at 10/9C and Flying Circus at 11:30/10:30C.